Here’s the seed matchups from the Round of 32 since 2000. Note: The #7 vs. #15 game between San Diego State and Florida Gulf Coast is only the second #7-#15 game since 2000. 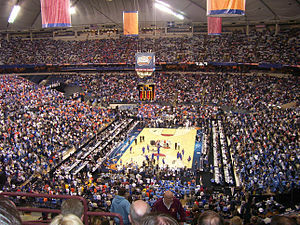 Last year #7 Florida faced #15 Norfolk State in the Round of 32.